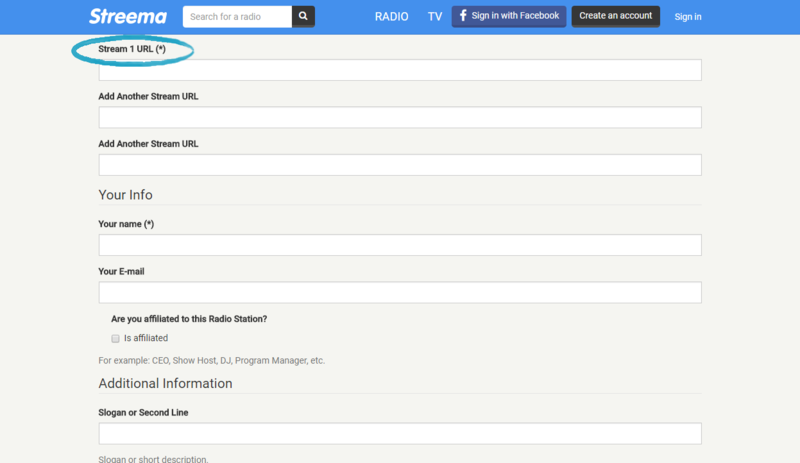 Streema is a popular radio directory site that hosts thousands of broadcasters. In this article we'll show you how you can upload your Mixlr station to Streema. 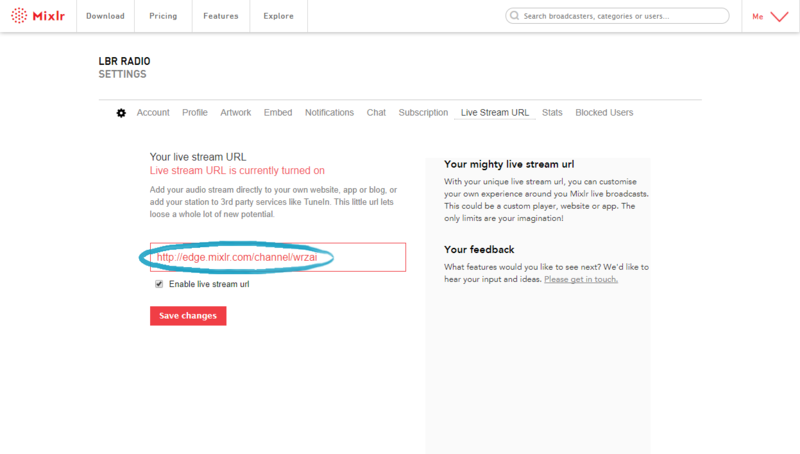 TIP: to add your Mixlr channel to Streema you'll need to use the live stream URL which is available to Mixlr Pro subscribers. You can learn more about Mixlr Pro here, and you can sign up for Mixlr Pro here. 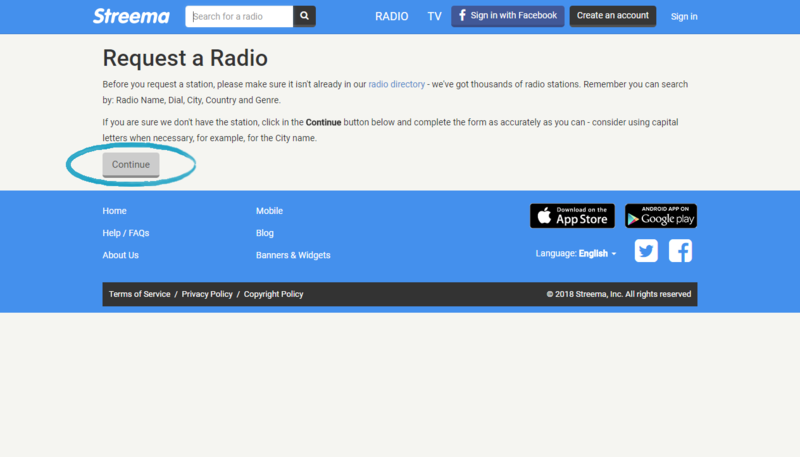 Once you've got your live stream URL, go to https://streema.com/radios/request. They'll ask if you to confirm that your station hasn't been submitted already - click the 'Continue' button to continue with the submission. You'll now see a list of fields to complete in order to submit your station. Complete the information requested by the form. Required fields are marked by an (*). Once you've completed the form scroll to the bottom of the page and click the 'Send' button to submit to Streema.